The Calgary Flames have signed unrestricted free agent defenceman Jakub Nakladal to a one-year entry level deal. The 27-year-old played in for Finnish club TPS Turku in 2014-15, scoring three goals and 12 assists in 50 games. Nakladal represented the Czech Republic at the 2015 IIHF World Championships in front of home crowds in Prague and Ostrava. In 10 games with the Czechs he registered five assists and four penalty minutes. The six-foot-one blueliner is a veteran of nine seasons in various European leagues, beginning his career with a single game in 2006-07 with Pardubice HC of the Czech League. He transferred to Russia's Kontinental Hockey League in 2011-12 and spent parts of four seasons there with Ufa, Moscow Spartak and Prague Lev. This past season was his first in the Finnish League. 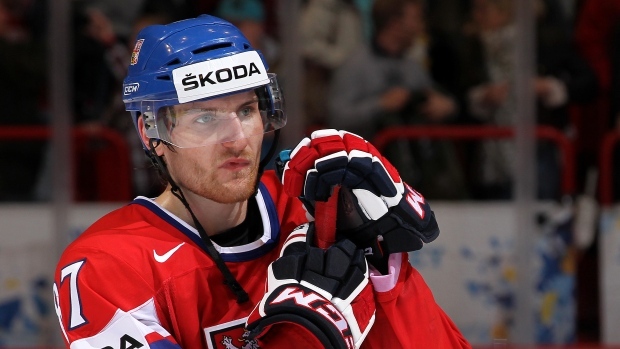 He previously won bronze with the Czechs at the 2012 IIHF World Championships.